A gas safety watchdog has warned that London residents risk falling foul of dangerous “cowboy” boiler fitters – more so than any other city in the UK. The Gas Safe Register, which officially monitors gas engineers, has revealed that there are around 7,500 rogue boiler fitters scattered around the country, accounting for in the region of 250,000 illegal jobs every year. 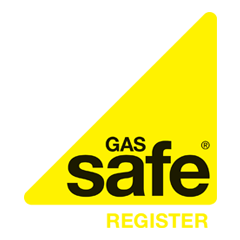 Earlier this week, the Gas Safe Registered launched its first ever Gas Safety Week. Aiming to raise awareness of gas safety and the importance of taking care of your gas appliances, the GSR has highlighted Londoners as being the most at risk when it comes to rogue traders. So much so, 79% of boilers installed by “cowboy” firms in the city flagged revealed to be a risk or “immediately dangerous”. Ross McTaggart, head of field operations at GSR said rogue traders were putting people’s lives in danger, and he urged people to ensure they check a fitter’s credentials prior to any work being undertaken. “The primary issue arising from illegal fittings is carbon monoxide poisoning but a boiler installed illegally can also cause explosions or fires,” said Mr McTaggart. With more and more people being treated in hospitals for low-level carbon monoxide poisoning, the Department of Health has revealed that accidental carbon monoxide poisoning led to more than 50 deaths as 4,000 people were hospitalised over a 12 month period. Homeowners are being urged to use only qualified heat engineers who carry a Gas Safe ID card. Rogue traders should be reported to the Gas Safe Register. Gas Safety Week runs from the 12-18th September 2011.